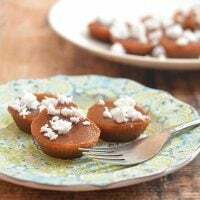 Kutsinta (cuchinta) are Filipino steamed cakes made with flour, tapioca flour, and brown sugar. Soft, chewy and topped with grated coconut, they’re a delicious snack or dessert. I’ve been on the lookout for a good recipe for kutsinta since forever, but my search and kitchen experimentation have been sorely disappointing. That was until last weekend when my kumare posted on Facebook a picture of the kutsinta she made and how she finally nailed the recipe after two years of trial and error. A couple of bites of the steamed cakes I made following her method and I had to agree; she indeed nailed it! 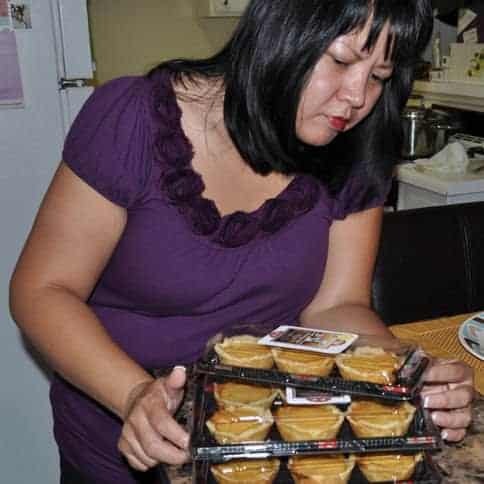 While most of the recipes I’ve encountered in the past are made of rice flour, her version uses all-purpose flour and tapioca flour which, along with the addition of lye, produces the soft and chewy texture I like. What does Lye Water do in Kutsinta? Food grade Lye water is a strong alkaline solution used in various cooking processes such as curing and baking. As a key ingredient in making kutsinta or pichi-pichi as well in Chinese moon cakes, bagels, pretzels, and ramen noodles, it raises the ph level of the dough for a richer color and a springy texture. If you prefer not to use lye or don’t have access to it, you can read this article on how to use baked baking soda solution as an alternative. The atsuete is primarily added to deepen the color and you can use more or less depending on the brown sugar you use. I use silicone molds for steaming; if you’re using tin molds, you might need to lightly grease the inside for easy removal of the steamed cakes. Steam in a gentle simmer to prevent the kutsinta from sinking in the middle. These are mini-sized cuchinta; recipe yield depends on the size of molds you use. Make sure to stir the mixture in between pouring into the molds as the flour tends to settle in the bottom. 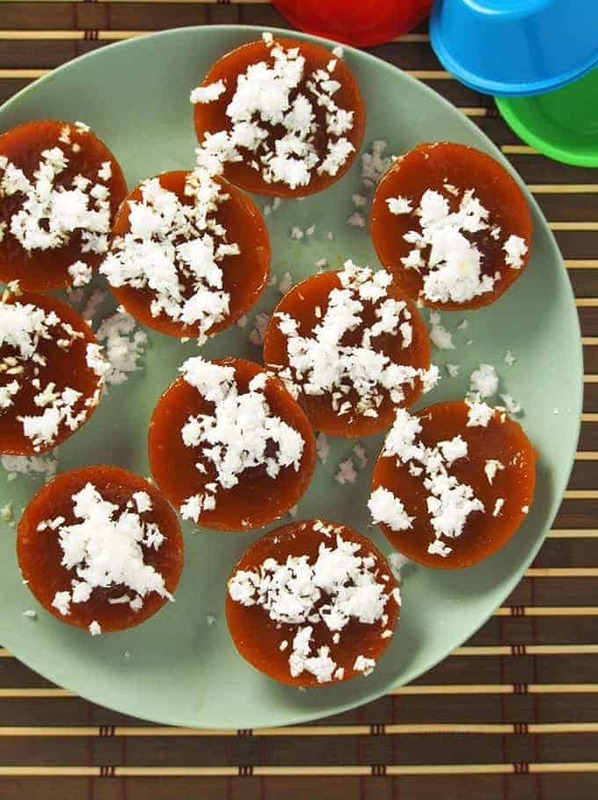 Kutsinta (cuchinta) are Filipino steamed cakes made with flour, tapioca flour, and brown sugar. Soft, chewy and topped with grated coconut, they're a delicious snack or dessert. In a bowl, combine flour, tapioca flour, sugar, and water. Stir well until dissolved and mixture is smooth. Add atsuete and stir until well dispersed and the desired color is achieved. Add lye water and stir. Lightly grease inside of molds with melted butter (If using silicone molds, skip this step). Fill molds to about 3/4 full. Add water to the steamer and bring to simmer over medium heat. Steam kutsinta for about 40 to 45 minutes or until mixture is set. Remove from heat and allow to cool. 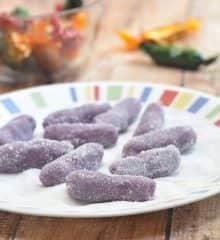 Gently remove from molds and serve with grated coconut. Nutritional info calculated at 2 pieces per serving. I just found out this recipe lately.I will try to make this . I was going to ask what is the substitution for lyle water. I found the answer by reading one of your recipe ratings. She use the baking powder. I am glad you found the answer you needed; there are definitely a lot of helpful tips on the comment section from other readers. Please let me know how it turns out with the baking powder! What’s kind of flour ? Thank you! Ate, instead of tapioca flour, can I use rice flour instead? Seamstress po. I haven’t tried this with rice flour so I am not sure how it would turn out. What do you mean “seamstress”? I made Kutsinta today and followed your recipe as is, and did not change anything. It was so good. Maraming salamat and more power to you. Thank you Ms Lai, I really like the kutchinta soft and chewy, you give best receipe…I try before but not like your receipe…Your the best! Hi Ms Lalaine! May I’m not sure if I can find annato here in the middle east. Does it really contribute to the taste of the kutchinta? The annatto is mostly for color, you can omit it if you don’t have it. Just make sure to use dark brown sugar. Those who are looking for lye water, you can check in any Asian store. It’s called Sodium Bicarbonate, it is in bottled water like the size of vinegar or soyo. Or you can make from scratch like my mom and aunties did. Use the ashes of bark wood. Wash the ashes many times until clean. Then put it in any glass jar ( any size you prefer) and fill up with water. The amount of water depends the ashes that you collected. Leave it for a couple days until the water is already clear. Enjoy! I made your recipe today for friend’s birthday party and it is a hit! I just loved the texture and taste good! maybe next time I will try to reduce the sugar.thank you for sharing your recipe,it is definitely a keeper! I can’t find any lye water in Dubai. Is it possible to use the same recipe but without the lye water? Lye helps with the chewy texture so I am not sure how the kutsinta will turn out without it. Thanks for the tip, Danica! I will definitely baking powder the next time I make kutsinta. I live in the U.S. usually Asian’s groceries everywhere. They have lye water. I find very difficult to find what I need in the Philippines. Here in the U.S. everything are here what you need. Westzone supermarket poh may lye water sila. hi maam lalaine cguro pang 3rd times q na to bakit hindi aq makapasok sa site nyo po,gusto ko po maghanao ng iba pa po,,,kasi sarap po talaga ng mga luto niyopo. Pasensya na at di ako agad nakasagot. Salamat sa feedback, I am so happy you’re enjoying the recipes! Happy cooking! Second time I am making a comment on your recipe…what a success this kutsinta was! It was so good! Restaurant quality! I got asked for the recipe and directed them to your website. Awesome! Thank you very much and God bless you more! Thank you so much, Diana. Aren’t they delicious? I am so glad my friend gave me her recipe as kutsinta is one of my favorite snacks! This is one of my favorite snack..thanks for sharing..
Where do I buy Lye Water? Hi! Can I use cassava flour? I am sorry but I haven’t tried cassava flour for kutsinta so I wouldn’t be able to guarantee the same results. Made this today (after making the suman malagkit). Texture is perfect, chewy and soft but the atsuete/anatto is overpowering the taste. It has that slight bitterness. Could it be the kind/brand that I used? I use the ‘pamana’ brand. If I will use a food coloring to achieve the desired color, what color should I use. Where do you purchase lye water? 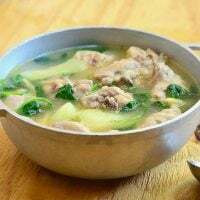 hi lalaine, i really wanted to try the kutsinta recipe and i am glad i came across your site and i am very happy that i am now a follower of your site.. i love every post you have and some of it i tried already. my question is how about if i dont have a tapioca flour?is there a substitute to it?will an ordinary all purpose flour will do?i cannt find a tapioca flour here in our place. 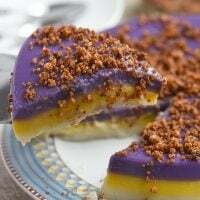 please reply soon ill be making a kutsinta this weekend. 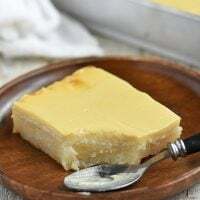 hmmm, interesting recipe, i’m also in search for a good kutsinta recipe, will give this a go anytime soon, just one question, i have here cassava starch and tapioca flour, can I use either of the two for the tapioca starch? I hope you give this a try, I was really impressed with how soft and chewy they came out. My bad, I actually meant “tapioca flour”. Corrected the recipe.